Last week I set myself the challenge of making a piece of jewellery every day that incorporated a stone – there are lots of ways you can include semi-precious stones and pearls in your jewellery and I’m going to show you just a few of them. 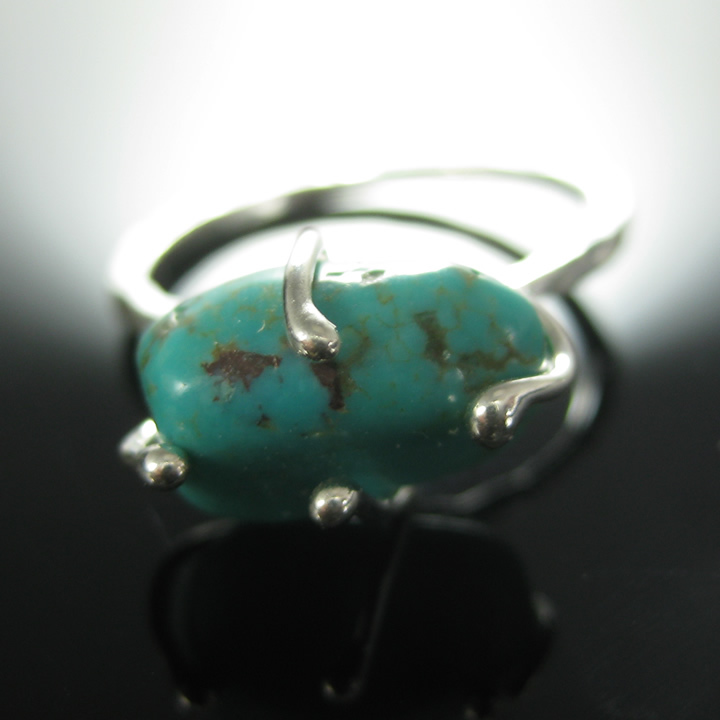 I bought a string of really nice genuine turquoise nuggets a while ago and thought that I could set one onto a ring (this setting doesn’t use the holes in the bead). 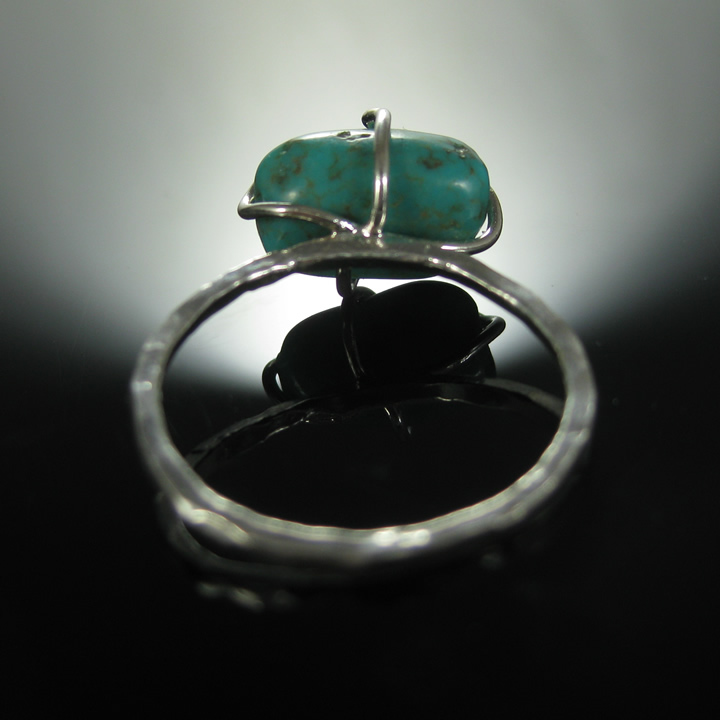 I started by making a silver wire ring. For the setting I balled the ends of 2 pieces of silver wire and placed them to form a cross then soldered them together. (I used some copper wire to estimate the length of wire needed to set the stone. Then soldered the cross onto the ring. The ring was then pickled and polished. I used a burnisher to push the prongs over the turquoise but you can use the back of your chain nose pliers if you don’t have a burnisher. 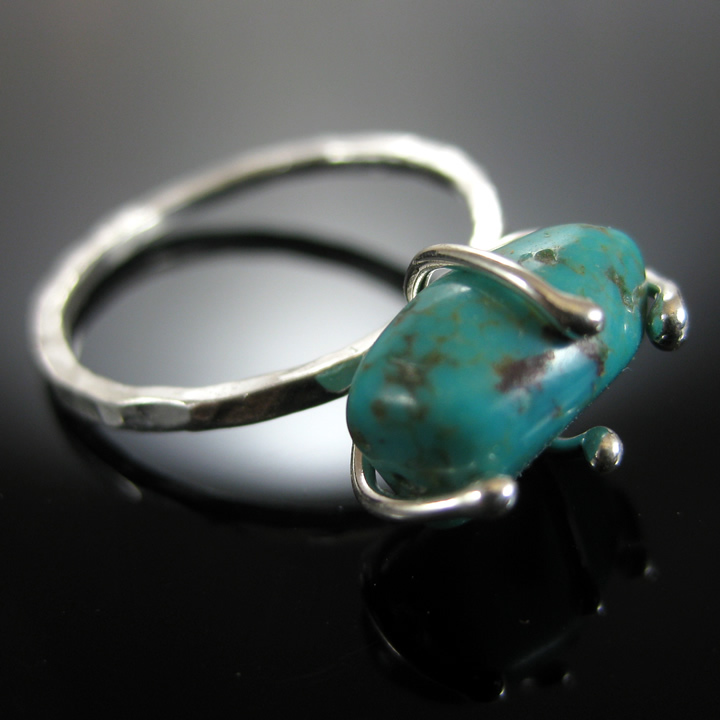 This is just one of the new projects you can choose on our 3 Day Introduction to Silversmithing and Stone Setting Workshops. Pop back tomorow for a different stone setting technique or better still follow my blog for automatic updates (see Follow Blog via Email in the right margin). 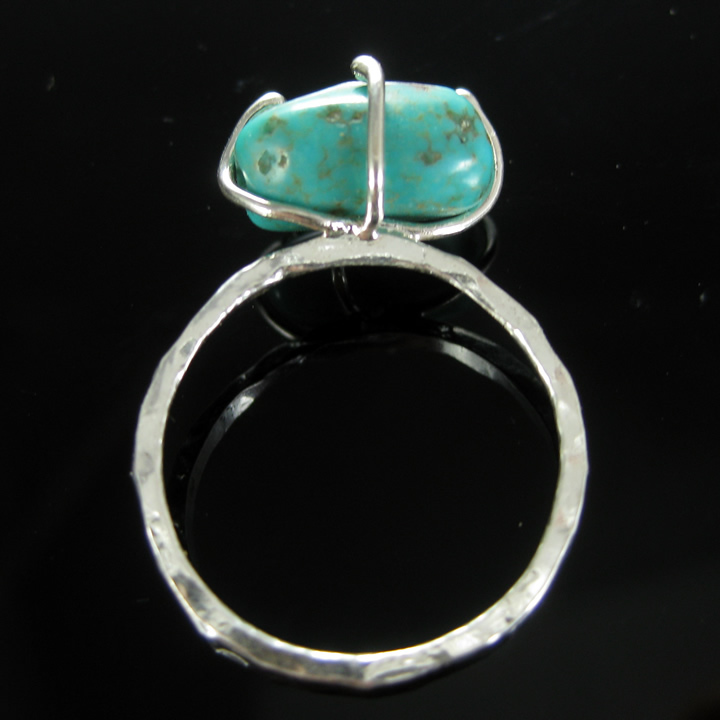 This entry was posted in Rings, stone setting and tagged prong setting, turquoies. Bookmark the permalink.